The Champion Sports 22 oz. 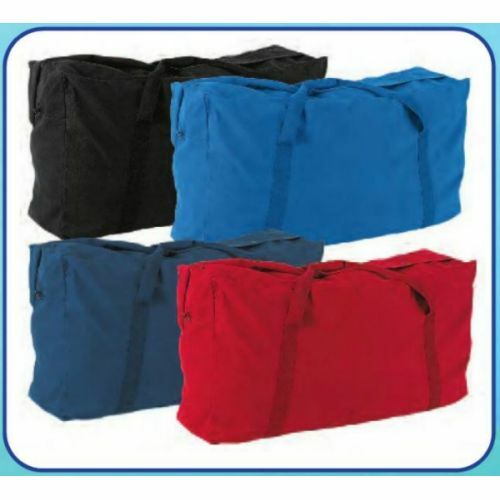 Oversized Canvas Zippered Duffle Bag is great for carrying all your sporting or camping gear! Made of rugged canvas with a heavy-duty zipper, this bag features carry straps for easy transport.